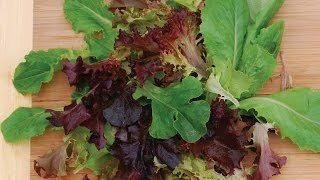 'Burpee Bibb' - The sweetest bibb lettuce ever! A Burpee-bred variety that is slow to bolt (2500 seeds). Lettuce, Summer-Long Collection is rated 4.7 out of 5 by 3. Rated 4 out of 5 by Tom G from Rabbits love it.g This Spring we were had a large crop of rabbits and they eat the lettuce, carrots, beets, spinach, and they even eat beans. They do not like the tomatoes, squash, cucumbers, onions or okra! Next year I am putting up a fence around the garden. I guess the lettuce has a high approval rating when it comes to rabbits. 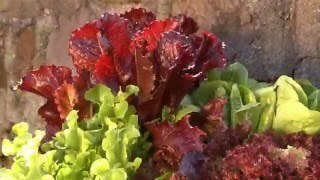 Rated 5 out of 5 by JeanWK from Great variety all season With these three lettuces, I had lettuce all season long. It is great to have a variety--way more than enough to eat and give away. Some in our family pick out their favorite, and some of us eat all three together. Rated 5 out of 5 by bigearl from New standard for my garden The summerlong gourmet blend is a new standard for my garden. It will with stand frost and freezes.